I have mentioned before that I have been following the Standing Stake Practice, aka Zhan Zhuang in one form or another for many years now, and that I have accrued many benefits from it. The literature on the subject has recently been brought up to date by Mark Cohen in his book, Inside Zhan Zhuang. Mr. Cohen has been kind enough to provide us with a guest post which follows. Enjoy. ZHAN ZHUANG - WHAT REALLY HAPPENS WHEN WE STAND? Tai Chi Chuan is taught very differently today than it was one or two hundred years ago. While this statement seems obvious to those in the know, it is this difference that is fundamental in answering the question of why many practitioners in olden times had such awesome power, skill and in many cases, radiant health and most today do not. One answer lies in the very beginning of the Tai Chi form, just prior to Commencement. What are we doing then? Probably standing with our feet parallel, somewhere between shoulder and hip width, depending on style. And there it is, one of the biggest secrets of Tai Chi, hiding in plain sight. 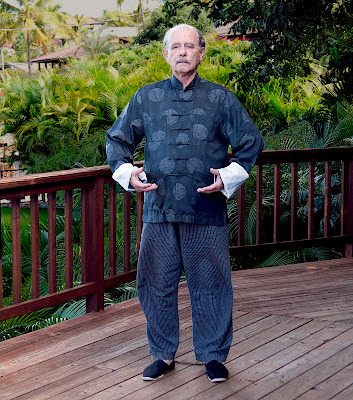 The truth is, the original Tai Chi lineage practice contained Zhan Zhuang training. The practitioners of old often stood in the Wuji posture, arms resting at their sides just as they are prior to Commencement, for an hour or more before beginning their form repetitions. When one begins Zhan Zhuang training their goals generally fall into one of three categories: health and longevity, internal martial power and mental/spiritual development. And since most all achievement in the internal arts is based on greater and greater relaxation and integration, standing meditation along with the Tai Chi moving practices naturally become an excellent method of choice for rapid accomplishment. Take the Tai Chi sword for example. In traditional training it normally took about ten years before one’s Chi was considered developed enough to learn this most sophisticated of weapons. On the other hand, with rigorous Zhan Zhuang training added, that time was often reduced by half or even as much as two-thirds in some cases. So, we find a suitable location, get ourselves into position, correct our alignments, center our feeling attention in the lower (or upper) Dan Tien and then what? The first thing people generally feel when they begin standing are various ‘discomforts’ in the physical body. These imbalances are generated by causes such as old injuries, energetic blockages, including organ or gland imbalances, psychic/emotional karma, and general mental rigidity. In this discussion we will primarily focus on the physical arena as these issues must be reckoned with before the other areas become steadily accessible. So what is it exactly that causes our discomfort and pain and perhaps more importantly, how do we change it and become relaxed? It can be said that all discomfort within the body is caused by incorrect tension between two primary dynamic forces - the descending Heaven energy (gravity, sinking, Yang) and the ascending Earth energy (lifting, rising, Yin.) These can be thought of as opposite pressures which when not properly equalized, create pain, discomfort or at the very least odd feelings or sensations in the body. These pressures manifest both physically and energetically. Our goal here is to enable a balanced interchange. Following the laws of hydrodynamics (the study of fluids in motion) we can postulate that an imbalance of pressure - either too much or too little - exerted on liquid within a defined, somewhat flexible membrane (the body) creates actual physical distortions. Eventually these can become ingrained and also warp the energy body(s). As these imbalances become habitual, the body adapts and creates a “new normal.” The definition of “normal” in this case being what we accept as natural for us, such that no area of the body calls attention to itself. In the case of an injury, normal refers to how things felt before the damage. Of course the “new normal” is actually an aberrated pattern. This means that after a time we “get used” to the imbalance and begin to experience it as normal. The body is often miraculous in it’s ability to self-heal and yet this same adaptive ability can also be a double-edged sword in that what can’t be corrected by the body’s self-healing, eventually gets blotted out of the conscious mind and feeling. When this occurs the pattern has been locked into the subconscious. And that’s where Zhan Zhuang can be most helpful. The continuous practice of the standing exercise reveals these aberrated subconscious patterns and eventually helps resolve them. When we have a muscular injury, in most cases the muscle contracts like a spring, upward and inward. If this is not resolved then ultimately the injured muscle becomes “stuck” to the bone, fascia or other nearby muscles. When this happens the pain or discomfort becomes pretty much constant. To resolve this type of injury we primarily use the descending, lengthening Heaven energy. In extreme cases it is possible for the opposite to happen. The muscle “spring” can be so sprung that flaccidity occurs. This can be particularly challenging when tendons and ligaments are involved. 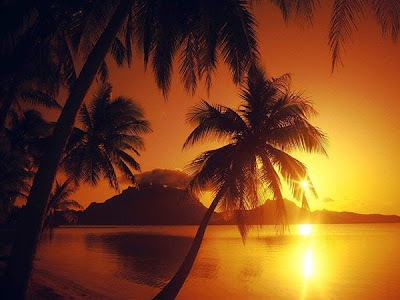 In this case, in addition to the descending Heaven energy, we must rely heavily on the rising, lifting Earth energy to slowly retighten the spring. The good news is, with time, Zhan Zhuang can resolve and heal many of these injuries. What actually happens is that the contracted muscle elongates and comes “unstuck from the bone.” This process can sometimes be quite strenuous, especially when long unused/newly freed muscles come back online or when the body attempts to return to the original energy flows that were present before injury. However, with continued practice these sinews gradually regain their strength (correct dynamic tension) and the soreness vanishes. Please note: if the injury is severe this process can take a long time. Despite it’s apparent simplicity, standing meditation is actually one of the most challenging things a person can do. One of the reasons is because Zhan Zhuang practice requires absolute mental and emotional honesty. Let me explain. When we practice movement, whether it be Tai Chi, Xingyi or Ba Gua, especially at the beginning, it is easily possible to do it incorrectly and think we’re doing it right. Only later when the teacher corrects us, do we realize our error. This is where Zhan Zhuang is different. Standing for an extended period of time, (40 minutes a day for health, an hour or more for martial achievement) we cannot deceive ourselves into believing we’re relaxed when we are not because sooner or later some uncomfortable sensation appears to remind us. Therefore, when we finally do achieve some degree of relaxation, we can know it is genuine. Of course there are many, many deepening levels of relaxation that become available over the years. An example of this can be a feeling of profound contentment, like we are exactly where we’re supposed to be as a human being. Heaven above, the Earth below and we, man or woman in between, nothing to do, nothing to achieve, just pure beingness. Or sometimes we feel as if our muscles are “melting.” When this occurs, the body will respond to our feeling attention and release blockages wherever we focus. The same is true of Nei Gung “energy experiences.” When we work with various Taoist alchemies or the like, our imagination becomes so refined that we can create experiences. But the question is, are these feelings and experiences real or just mock-ups of our imagination? With Zhan Zhuang however, there is generally no question whether some energy or feeling is real. Since we are not seeking any particular experience, just greater relaxation, when something does happen out-of-the-blue so to speak, we know it’s real because we had no part in trying to create it. Also after one of these experiences, we are often able to duplicate and utilize the new awareness. When I first began Zhan Zhuang training, I asked the following question: What is more important, posture or relaxation? The answer I was given after long deliberation was relaxation. While structure is obviously important for many reasons such as integration and Chi flow for example, it is the ability to relax more and more deeply that actually brings achievement. Here it is important to point out that obsessive preoccupation with a posture’s alignment will almost always bring negative results in the way of unwanted tension. Therefore, the symmetry of structure and the quest for its perfection can be deceiving, just look at nature. Nowhere in nature will we find symmetry in the way humans define it. The branches of a tree are not symmetrical nor equidistant, or even completely straight for that matter and yet the tree thrives and grows healthy and tall. This means that the sooner we accept our imperfections and learn to be okay just the way we are, the faster our progress. By concentrating on relaxation, eventually the body will begin to correct and adjust imbalances of itself, or suggest to us how to work with the asymmetrical elements. Here, there are two keys to remember, 1) The body wants to heal itself and 2) the body has certain innate wisdoms we can trust. That said, the best way to deal with this dilemma is a balanced approach, to use both elements, alignment (structure) and relaxation interchangeably. The phrase, “Set it and forget it,” is appropriate here. In other words, do your best to set up your structure and then let go of it and work mainly with relaxation. The feet are the place through which all the forces of gravity must pass. There are literally thousands of “gravity filaments” or vertical lines of force throughout the body, all of which must be balanced and released from the top of the head/shoulders down into the ground. In this way the front, back, insides and outsides of the bottoms of the feet each reveal the result of our progressive relaxation. The key here is evenness. Generally when we stand, especially at first, some parts of the feet will feel more pressure than others. By tracing these excesses (or deficiencies, not enough pressure) up their respective meridians, we can find the source of the resistance or blockage. Once recognized, the next step is to relax and try to empty the suspect area and then continue to relax the relative muscle channel(s) all the way down under the bottom of the foot. The goal here is equal pressure, no place too much or too little. Finally, with enough practice even our feeling of this equal pressure inevitably disappears as we merge with the earth. When this is accomplished we have effectively sunk the Chi and created, at least in part, the highly-prized state of Sung. There are five locations on the bottoms of the feet, knowledge of which will greatly aid in our quest. They are: Kidney 1 - the bubbling well, the center of the heel, the big ball - located behind the big toe/second toe, the little ball - located behind the pinky/4th toe (See photo) and lastly the Center Point, equidistant between the tip of the toes and back of the heel. This point is located directly below Jiexi point, St-41 when standing in Wuji posture. Jiexi point can be found on the midpoint of the transverse crease of the ankle in a depression between the two tendons. There is a sixth point which also proves very useful. This is Zulinqi point, GB-41 and when properly opened, has the power to help release the hip, especially the side of the hip. Zulinqi point is located on the top of the foot toward the outside, behind the 4th metatarsophalangeal joint in a depression lateral to the tendon of extensor digiti minimi. When checking to see if our Chi has sunk, these locations assist in simplifying the task of isolating and resolving blockages. It is important to note that focusing on the bubbling well will cause energy to rise and focusing on the bottom of the heel will cause energy to descend. Focusing on the Center Point will ideally allow energy to ascend and descend simultaneously. By leaving our arms relaxed at our sides as we do in the Wuji standing posture, our attention more naturally stays inside the torso. Test this for yourself. First, stand with your hands at your sides for a minute or so. Then raise your arms and form the embracing the tree/holding the ball posture and maintain that for a minute. Notice that as soon as your raise your hands, your conscious attention naturally tends to shift to the arms and upper body. Finally, return your arms to the sides of the body and notice what happens. Your feeling attention begins to leave the arms and return to the torso. In addition to this, the width of the feet can influence our ability to be aware of the spine. When we stand in a wide stance (shoulder width or wider) just as with the arms, our feeling attention tends to move to the outsides of the body. On the other hand, when we position the feet at hip width or narrower, of necessity we must stand “taller,” that is, stretch the body more vertically. This of itself brings greater awareness of the spine. Students of the Tai Chi classics are quite familiar with this saying. But what does it mean and why is it important in our Zhan Zhuang and Tai Chi practice? In terms of Zhan Zhuang, the Chi gathering and adhering to the back primarily refers to the Yang Chi and the spine. What happens with enough practice is that more and more of the “Yin tissue” in the front of the body (chest, abdomen and innards) elongates and relaxes back toward the spine. This is especially true of the all-important Psoas muscles. When this occurs, the Yin tissue feels more insubstantial while the Yang Chi of back becomes more tangible. The importance of the spine both for health and martial achievement cannot be over-estimated. On the health side, the nerves of the spine energize all the organs and glands and much more. In addition, every nerve message which passes from the brain to the body and vice-versa, goes through the spinal column. On the martial side, the spine is central to issuing powerful jing. The use of the eyes depends upon one’s goal(s) in Zhan Zhuang practice. For health, it is beneficial to close the eyes. This makes focusing inside easier and in my experience is useful no matter what your goal. With all methods, it is important to retain great relaxation in the eyes. For martial arts, it is often best to keep the eyes open. One reason for this is to cultivate our peripheral vision. Another reason is because at higher levels, the eyes are indispensable in the projection of power/energy. In the first method we use a specific focus on some distant object and while holding our attention there, engage our peripheral vision or what some have termed, “Eagle Vision.” A variation of this is to gaze into the distance with our eyes straight ahead (at the horizon for instance) with no specific focal point. For mental and spiritual cultivation of the Shen force, there two other techniques that can be very useful. The Half-Inside/Half Outside Method often works well. First, one looks straight ahead while half-closing their eyes. Let the eyelids relax and get heavy such that they obscure half your field of vision. Then, and here’s the trick, while keeping your attention focused straight ahead, relax the eye muscles and lower the eyes as if going to sleep. At this point your attention, which is still looking straight ahead, will have become focused on your “inner screen” - eyelids obscuring the upper half of the objective world while your physical eyes are lightly focused downward on the physical reality. As we maintain this relaxed focus, inside, light will begin to accumulate and this leads to the second method. The first approach involves using the mind to square everything away, so to speak. That is, going through the body step-by-step from Baihui point and above the head, down through the bottoms of the feet, correcting alignments, opening the various points and locations by relaxing and adjusting as necessary. This method is useful when we have difficulty quieting the mind. Concentrating in this manner gives the mind something to do and tends to get rid of excessive thought. Once this is done, we find our center and automatically shift to the second method which involves only feeling. The second approach is deceptively simple. “Don’t think, feel!” This Bruce Lee aphorism uttered in the movie, “Enter the Dragon,” says it all. In other words, briefly use the mind to put your body in the most balanced posture possible at that moment, find your center and then forget the mind and enter the realm of pure feeling/being. There are a number of ways to find one’s center. The following method has been found to work extremely well. Place one hand on your Navel/Low Dan Tien area and the other at the Ming Men on the low back. Here it is important to note that there are actually two Ming Men. One is the acupuncture Ming Men which lies just below the second lumbar vertebra and the other is the Chi Gung Ming Men which is found between the 5th lumbar vertebra and the sacrum. With a judicious hand placement you can cover both. Once your hands are in position, move your feeling awareness from your front hand, through the body to your back hand. Then move your feeling from your back hand to a point inside your body, halfway between back and front. Lastly, lower your hands to your sides (Wuji posture) and just feel. For those who prefer more specificity, five locations can be used. 1) the outside of the abdomen, the skin where your hand is touching. 2) the low Dan Tien, 2 to 4 inches inside the body. 3) the Center Point, equidistant between front and back. 4) the inside of the lumbar vertebra, 2 to 4 inches inside the body from the back. 5) the outside of the back, where your other hand is touching. At first your Center Point location may be vague or amorphous, but with continued practice it will become refined to a single point, after which, many wonderful things begin to happen such as the spontaneous opening of various channels, energy centers or even the entire energy body itself. Remember to find your center by going from back to front, not the other way around. The reason for this is that we as human beings have much more awareness of the front of our bodies than we do of our backs. Without going from the back first, there is a tendency to skew our awareness of the center point. 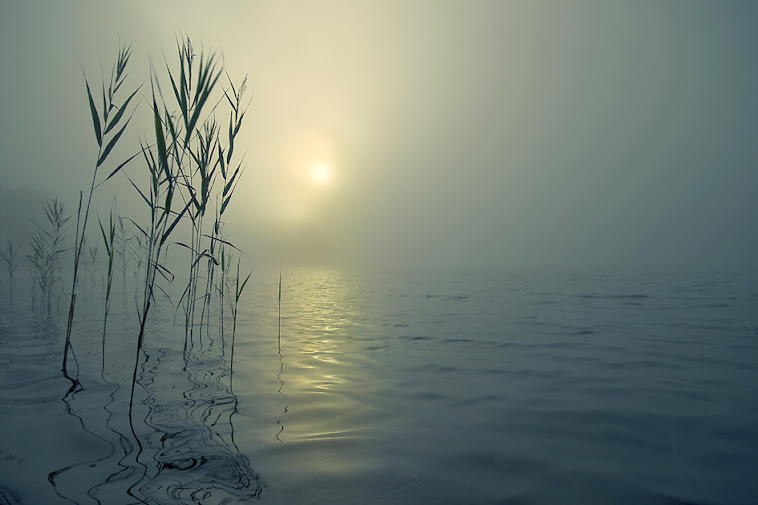 In essence, what we are doing in Zhan Zhuang practice is investigating the nature of relaxation. However, relaxation in this case is not simply becoming limp, for if we completely relax all our muscles, we will certainly fall down. Therefore, the type of relaxation we are looking for involves the minimum dynamic tension required to hold the body upright. After much practice, our equilibrium becomes very refined and we are able to “balance on the bones.” At that point, the perceived dynamic tension of the body’s soft tissue becomes virtually nil. This deep relaxation will eventually permeate even further and include the organs, glands and even the brain. Why is this so important? Because so much of one’s progress literally comes from deeper and deeper relaxation. Wang Xiang Zhai, the creator of Yiquan, was clear about the necessity for personal investigation and experimentation in this regard. So what are the components of relaxation and how can we deepen it? Relaxation has three basic components: physical, energetic and mental. We will first address calming the mind for without this, deep relaxation is simply not possible. One of the simplest ways to calm the mind is by using the breath. Regulating the breath (making it even) will in turn soothe and slow the mind. Another technique is to relax the eyes and especially the back of the eyes where they attach to the optic nerve. Doing this can dramatically slow nerve messages as well as thought. What we are doing in a sense is creating space in the body. Some people describe it as hollowness, emptiness or lack of differentiation between their body and the surrounding air molecules. These stages are clearly beyond merely being physically comfortable, although deep body relaxation is definitely a prerequisite. When one achieves a considerable amount of genuine relaxation, it sometimes happens that they experience a “time warp,” a sort of space/time distortion. Wang Xiang Zhai called it entering the Void. We think we’ve been standing for 15 or 20 minutes, but when we check the time, it turns out to be closer to 40 or 50 minutes, for example. When this occurs it feels like our blood sparkles and we are filled with vitality. Imagine three concentric circles, each separated from the another. Now put yourself in the center of the innermost circle. This circle represents our conscious awareness, what we can feel. The second circle represents our peripheral feeling awareness, what we can just barely feel, sense or glimpse. And the third circle represents what we cannot yet feel or perceive. This cycle continues to play out again and again and with each round our conscious awareness grows, sometimes exponentially. 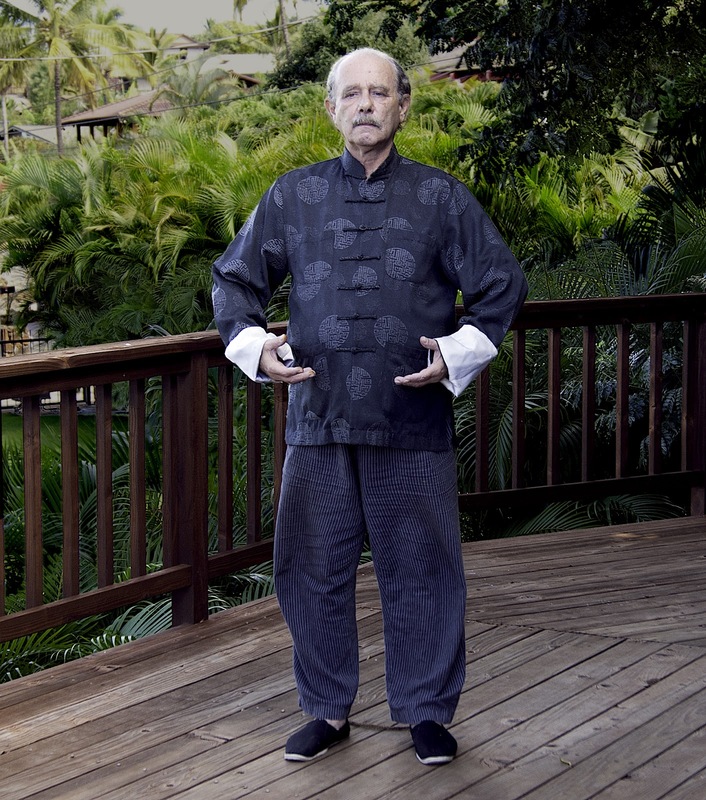 The amazing thing about Zhan Zhuang is that everyone who practices daily will inevitably gain such expansions and all the benefits that go with them, including profound improvement in their Tai Chi form and push hands. A fine post, from the author of a really fine book! Thanks to you both. In one of her books, Simmone Kuo mentioned that "Universal Post" [their name for Zhan Zhuang] was her late husband's favorite exercise. Now, he was pretty good at a number of martial arts, so for many years I wondered and pondered, why was standing his "favorite"? After reading Mr. Cohen's book, I have many clues. Certainly the practice is a favorite of mine. Ha-ha, but not exactly a conversation-starter in my neck of the woods. The standing practice is certainly important to me and Mark Cohen has done an excellent job. Mark Cohen did a good job in detailing "THE FIVE (Six) POINTS OF THE FOOT." Great post - have just ordered my copy from Amazon. Thank you for this article. It's helpful!